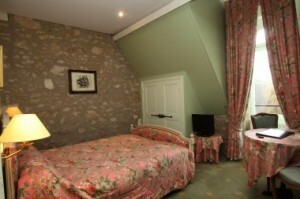 Château de la Vérie welcomes you in the unique and authentic charm of the Vendée region. Our 17 hectares park, with a sheep enclosure brings nature within reach. Enjoy a relaxing moment at our outdoor swimming pool or at our tennis court, and savour the pleasure of our haute cuisine restaurant. 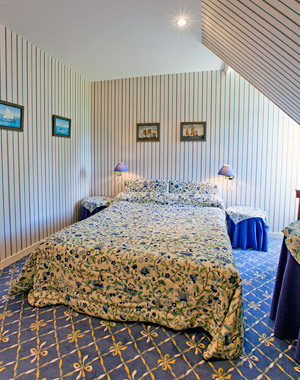 For you and your children, we also propose according availability:baby cot, extra beds, baby chair...We also have rooms for 3 or 4 and connected rooms. 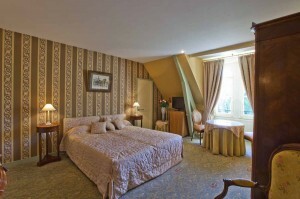 We can also do our best to welcome you in close rooms if you wish so. 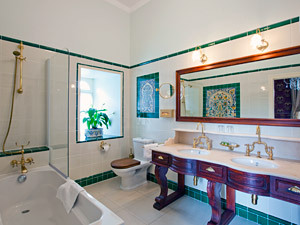 With a beautifully renovated bathroom, the luxury bedroom of Château de la Vérie, invites you on a fabulous journey. Enjoy the modern equipment of the luxury bedroom with its double bed or two twin beds, a direct dial telephone, entirely renovated bathroom, hair dryer and television and minibar. The combination of luxury and style allows you to relax in peace and harmony. With a generous 26 m² of space our Prestige bedroom offers all the comfort you would expect in an authentic 3 star castle hotel. In an atmosphere of tradition and modern comfort, our Prestige bedrooms offer you a double bed or two twin beds, a direct dial telephone, a 4 m² bathroom, hair dryer, television and mini bar. 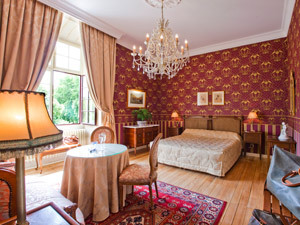 In the welcoming setting of charm so typical for the Vendée region, the Royal bedrooms of Château de la Vérie, offer a double bed or two twin beds, a direct dial telephone, bathroom, hair dryer, minibar and television. The spacious Royal bedrooms offer up to 20 square meters of floor space and are located on the first and second floor of Château de la Vérie. 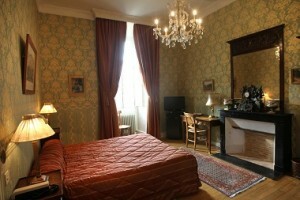 This type can also welcome 3 people and we have a family room for 2 adults and 2 children. Please contact us for more information. The warm colours and stylish furniture of the Dauphin bedrooms, located on the second floor of Château de la Vérie, will give you a feeling of wellbeing. 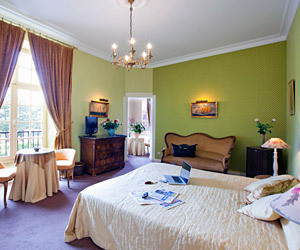 Double bed or two twin beds, a direct dial telephone, bathroom, hair dryer and television : our Dauphin bedrooms are equipped with all modern facilities. The Prince bedrooms, located on the second floor of Château de la Vérie, offer you 15 m² of space in a combination of modernism and tradition. The Prince bedrooms are fully equipped with a double bed, a direct dial telephone, bathroom with bathtub, hair dryer and television.